Seasons Find is a chicken abattoir project situated 2 km outside Hopefield in the West Coast region and is owned by two beneficiaries, Tyrone Poole and his wife. The project started way back in 2004 when it operated as a chicken abattoir for broilers. There has been excellent growth at this project since its inception, particularly in terms of job creation. Approximately 30 seasonal workers and 12 permanent workers were appointed at the project. The Western Cape Department of Agriculture funded this project through its Comprehensive Agricultural Support Programme and appointed its implementing agency, Casidra, to implement the project on their behalf. According to Casidra’s Project Manager, Gerrit van Schalkwyk, this project’s measurable objectives were to improve the standard of the current infrastructure in order to comply with the norms and standards of veterinary and health regulations. 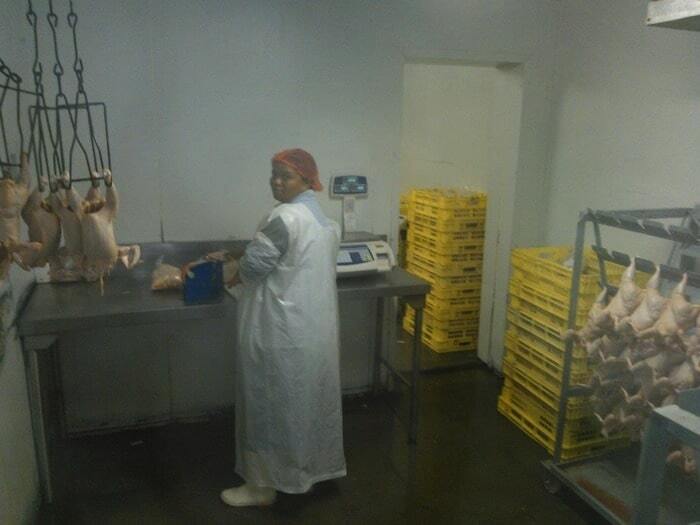 Casidra managed to successfully implement this project by procuring the abattoir equipment, cold rooms, refrigerated truck and bakkie with funding allocated to the project, which are regarded as most valuable assets received by the beneficiaries, to improve the efficiency of packaging and deliverables.